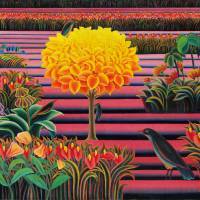 Early in his artistic career, the acclaimed Shigeo Arai mostly painted flowers and birds in oils. By the mid 1980s, however, his style became more colorful and experimental, and he produced more abstract and sculptural works. Now in his late 90s, he is still active, with his most recent pieces involving colorful collages that combine his work with ukiyo-e paintings. Born in Nagano, Arai won the Marugame City Cultural Promotion award in 2016. 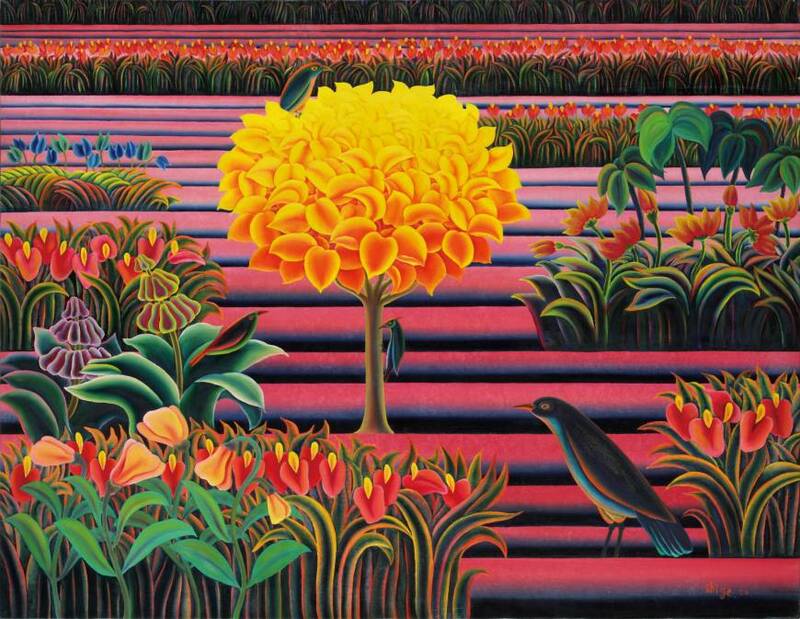 Tracing 70 years of his career, this exhibition includes representative pieces, such as “Paradise” (1974) and “Two Sceneries (Bird)” (1985), as well as a recent series he created at the age of 97.